This volume, which supersedes the first edition, contains the complete collection of the United Kingdom National Reports, which were presented at the XVth International Congress of Comparative Law at the University of Bristol in the Summer of 1998. The reports provide expert, scholarly and reflective accounts of the state of the law of the United Kingdom in the approach to the third millennium. It provides an invaluable repository of learning on a wide range of issues of continuing topicality and importance. 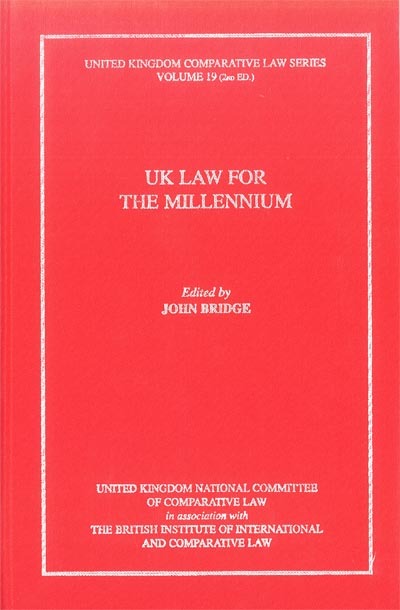 "UK Law for the Millennium 2nd edtn"